Hoover is a brand that has been around for many, many years. They manufacture all kinds of different cleaners. Carpet cleaners. Hardwood cleaners. And, yes, vacuum cleaners. In the past, they were known for, primarily, manufacturing upright vacuum cleaners. However, as stick vacuums became more and more popular, they started to focus their energy on manufacturing stick vacuums as well. Then, when cordless vacuums became a trend, they shifted their focus once more. Fortunately for Hoover, these decisions have more than paid off. Universally, they are known for their high-quality stick vacuum cleaners. Today, we’re going to be looking at the Hoover Impulse Cordless Stick Vacuum Cleaner. It more than lives up to the wonderful reputation that Hoover has established. What Is A Cordless Stick Vacuum? First off, a cordless vacuum is pretty easy to define. 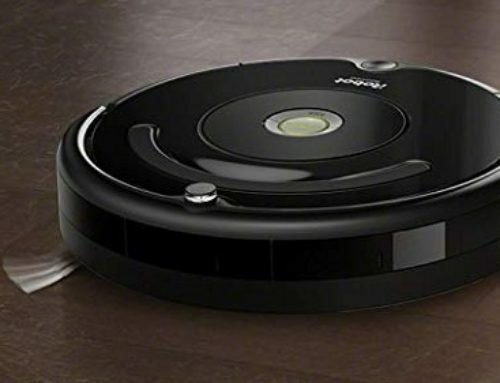 It’s a vacuum cleaner that uses a battery, instead of a power cord. Today, cordless vacuums are very popular. Not as popular as corded vacuums, due to the fact that the battery technology is still being perfected, and because of the costs of cordless vacuums. But, with that being said, the technology has grown by a great deal. As such, cordless vacuums are as popular as they have ever been. Now, a stick vacuum is a little harder to define. Before we can define a stick vacuum, we need to define what an upright vacuum is. An upright vacuum is the most popular type of vacuum cleaner. It stands tall and upright and tends to be large, and bulky. Usually, they either have a bag in the middle or a dirt canister. They are loud but incredibly efficient. However, due to their heft and bulky, they aren’t very mobile or versatile. Smaller spaces aren’t particularly easy to clean, with an upright vacuum. Stick vacuums are tall, but they are thin – like a stick – and lightweight. Much easier to maneuver and store. While less powerful, usually, stick vacuums are the more convenient cousin of upright vacuums. Offering greater mobility and versatility. So, What Can The Hoover Impulse Cordless Stick Vacuum Cleaner Do For Me? 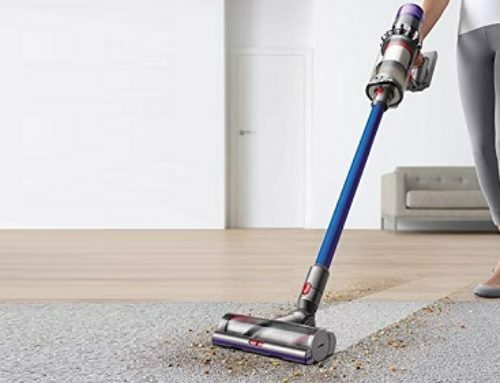 Coming in at just under 6 pounds, the Hoover Impulse Cordless Stick Vacuum is a truly lightweight device. Very easy to just pick up and move around. You’re not going to be straining your shoulders moving this one around. If you are cleaning furniture – or around furniture – then you have a great advantage. You can easily move it around big couches, small chairs, and other types of furniture especially if you need to go behind your couch, for example, to vacuum up some dust or debris. Now, if you live in a small studio apartment, then this is also a great advantage. Usually, in a studio apartment, you’re a bit cramped. You’ll have to move things around, to clean the spaces that are the dirtiest. But, with this vacuum, you can do one of two things. One, you can simply maneuver it around and underneath those spaces. Two, if that’s simply not an option, then you can press a button. 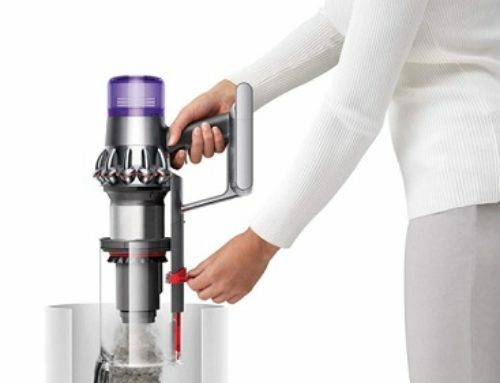 This button turns the vacuum into a handheld vacuum. So, if you want to do a light vacuuming of a small crevice that is unreachable with the standard vacuum, then you can do just that! Due to the multi-flooring capabilities of the vacuum, you can clean many different floor types. Floor types such as hardwood flooring, thin and thick carpeting, among others. Sometimes, though, there are spaces that you just can’t reach. Fortunately, you have what’s known as a “Reach Wand”. This is a great little accessory that extends the reach of the main vacuum wand. So, if something gets stained on the ceiling, have no fear, because the Reach Wand is there for you. After you’re done vacuuming, you’ll notice that the dirt cup is a super simple and easy-to-use contraption. Just press a button, and you can release all of the contents into your garbage bin. You don’t need to dig into the cup with your hands to extract the dirt, dust, and debris. Finally, with regards to the battery life, there is no official number that Hoover has given. However, it lasted for up to 1 hour. Sometimes more, but 1 hour is the norm. It takes 30 minutes to recharge, on average fully. Is This The Right Cordless Stick Vacuum For Me? The answer is a definite “Yes” if you want a cordless stick vacuum that can efficiently and effectively clean a variety of messes in a convenient manner! Be warned, though, that the Hoover Impulse BH53020 Stick Vacuum doesn’t have the power of other stick vacuums or an upright vacuum. If you want a powerhouse, you’ll need to look somewhere else.